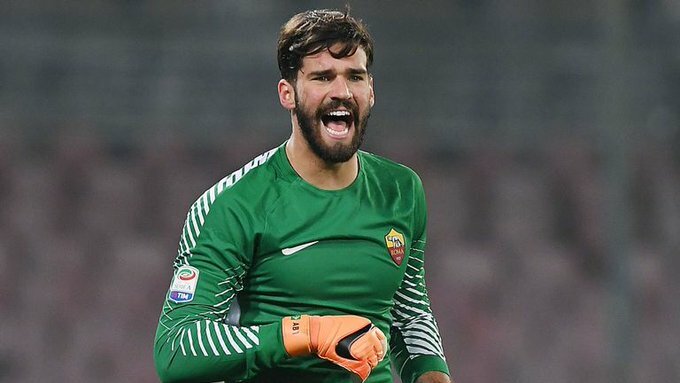 Liverpool agreed a world record transfer fee for a goalkeeper of about £66.8m for Roma goalkeeper Alisson. The Brazilian has long been Jurgen Klopp’s number one goalkeeping target. The Reds are now expected to hold talks with the Brazil international to iron out personal terms. The bid would overtake the current record for a keeper – £47m paid by Juventus to Parma for Gianluigi Buffon in 2001. The Premier League record for a keeper is the £36m Manchester City paid Benfica for Ederson in June 2017.